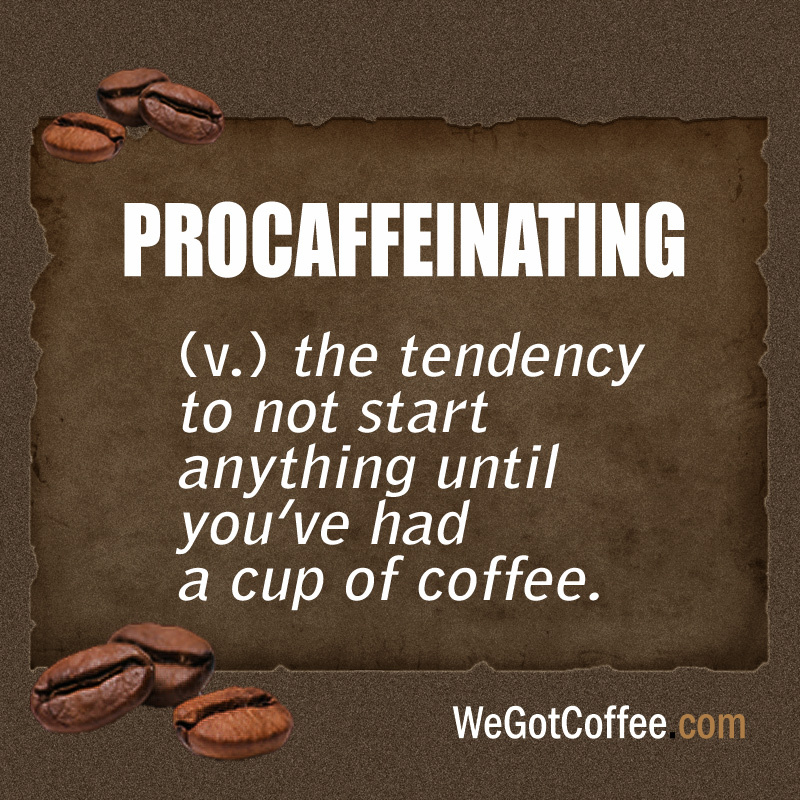 A new, and popular, word for coffee lovers: Procaffeinating. Hey, the word does show as a suggestion as you type in some mobile phones, so the word might be catching on. 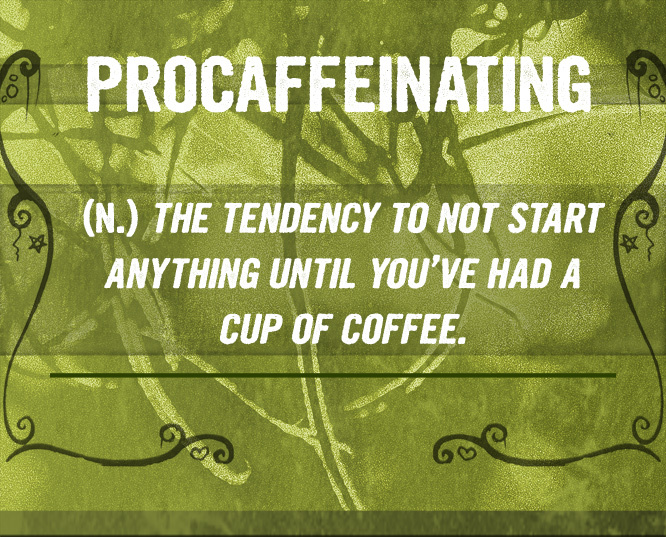 Used in a sentence: I am “procaffeinating” right now, but as soon as I am done I will start working. 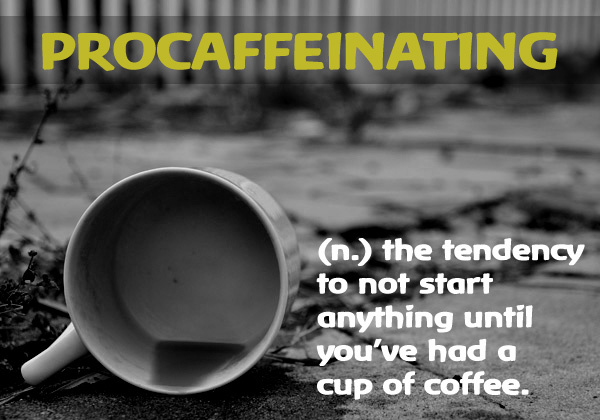 For many it is the way their day officially starts. Also a good excuse to delay something that will take a lot of thought and focus.